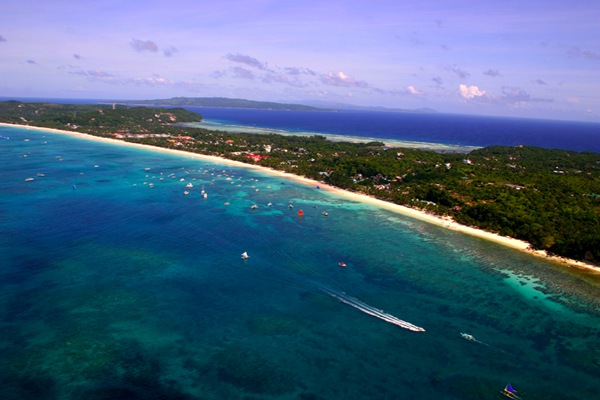 Awarded 2nd best beach in the world in the “Travelers’ Choice 2011“ by TripAdvisor, this small island in the Visayas is a world-renowned paradise for beach lovers and aqua sports enthusiasts. This island at the northern tip of Aklan stretches up to about seven kilometers long and boasts two primary tourism beaches, White Beach and Bulabog Beach, graced with hotels, resorts, restaurants, lodging houses, and other establishments, making it one of the most favorite beach getaways. 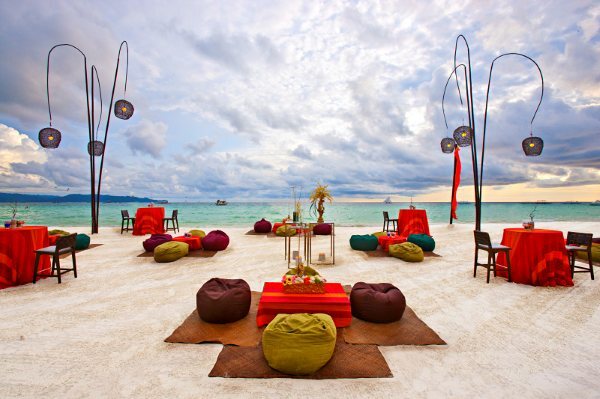 Boracay is definitely one of the country’s hottest tourist spots with a wide range of accommodations and activities both for local and foreign visitors – a reason why this haven is also regarded as one of the most sought-after beach wedding venues in the Philippines. 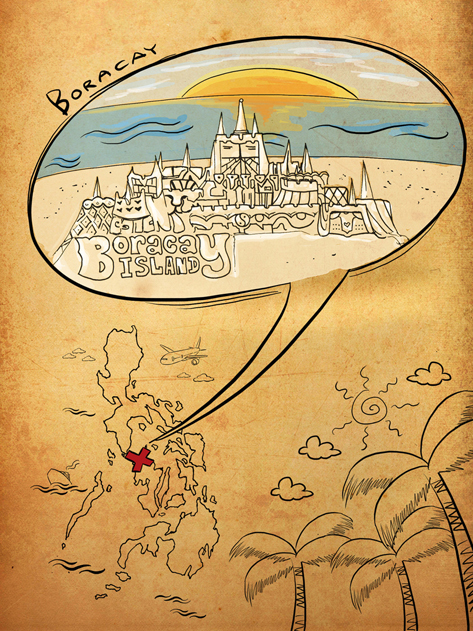 A bright shade of yellow enlivens this invitation for a Church wedding in Boracay. 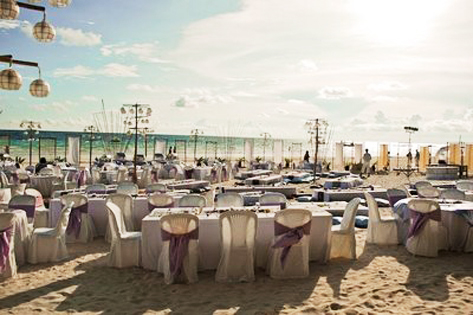 Although the wedding ceremony was held at Holy Rosary Parish, this invitation perfectly spreads the vibrant mood of its beach reception held at the deluxe Friday’s Boracay, one of the first 5-Star resorts in the island. 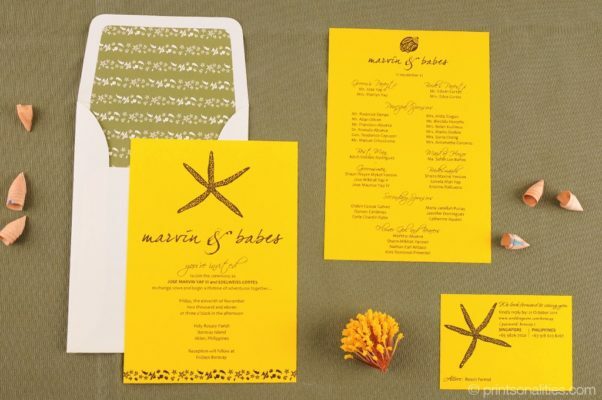 Seashell icons and an illustrated image of a starfish were the highlights of this invite. 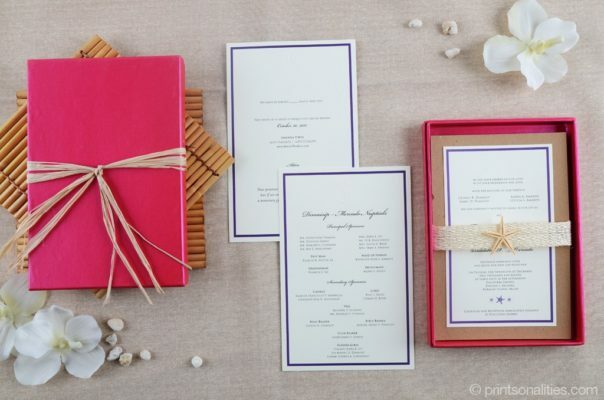 Enclosed in a fuchsia box is this beach-themed luxe modern invitation for a wedding by the beach at Discovery Shores, Boracay. An abaca belt embellished with a preserved real starfish sets the tone for an afternoon of an intimate new beginning for Ferdinand and Vernadette. 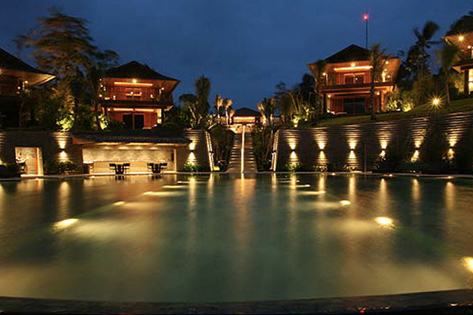 Deciding where to hold the most priceless moment of your life might be quite challenging, but if you choose to be wed under the tropical sun, barefoot on fine white sand, hearing the waves of the seas and seeing the tranquil sways of island trees, choosing your beach wedding destination should never be a dilemma. 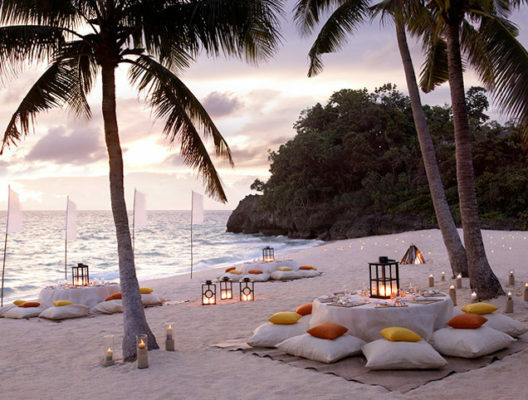 You can never go wrong with Boracay Island.